We just got back to the hotel after another incredible day! Charlie and I are enjoying spending time with your children and seeing the excitement on their faces at every turn. We can hardly believe how much we’ve been able to pack into the first two days! Yesterday, our trip began bright and early… scratch that. It wasn’t bright out at all when we all headed to the airport to meet at 3:30 am for our 6:00 am flight to Prague. Despite the ungodly hour, everyone was a trooper – even Tamar who slept through her alarm and several phone calls but managed to get ready to leave in less than two minutes when we woke her! The flight was uneventful as we all slept and when we arrived in Europe, everyone seemed ready to hit the ground running. 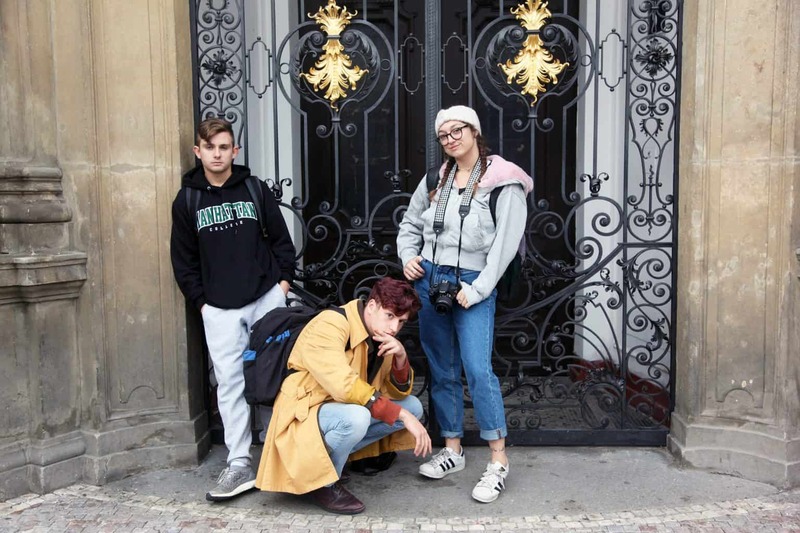 After dropping our luggage off at the hotel, which is located in the most central area of Prague, close to the Old Town Square and the Jewish Quarter, we headed out to explore this beautiful city. Walking towards the river, we all were wide-eyed as we took in the incredible architecture around us. The colors really stood out for many of us. Walking down an average street, apartment buildings in a row could be shades of light colors such as orange, yellow, blue, and green. 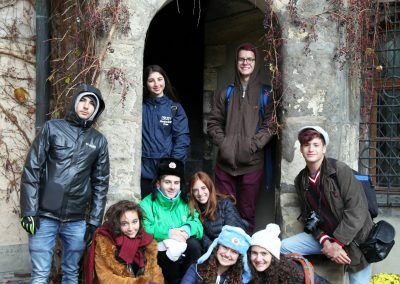 Reaching the Vltava River, we caught our first glimpses of the Castle, the Charles Bridge, and the unbelievable scenery. After lunch on a riverboat, we met our first tour guides, Jakob and Freddy, who were ready with electric scooters and a tour of the western side of the river. The electric scooter tour was SO fun for all of us and allowed us to make our way to some incredible viewpoints to see the whole city. 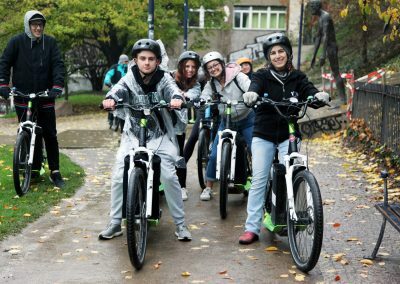 We started in Petrin Hill and as the path wound its way around the park, Rob showed off his bike skills (and nearly gave me a heart attack) popping wheelies, riding fast downhill and around turns. The scooters we rode are essentially bicycles but with a platform to stand on where the pedals usually are. They are powered by a battery and probably don’t go more than 20 mph, so I can only imagine the cool tricks Rob could do on an actual mountain bike! 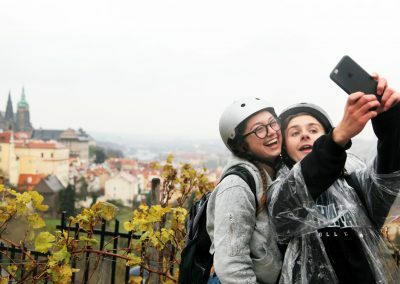 At the top of Petrin Hill, we got an up close view of the mini Eiffel Tower which is actually two meters higher than the real Eiffel Tower… if you include the mountain it sits on as part of your measurements. Riding to an even higher vantage point, we reached the Strahov Stadium that was constructed in the late 1920’s and is the largest stadium and the fourth largest sports venue ever built. It has a capacity of 220,000 spectators! It is HUGE!!! Unfortunately, the stadium never was actually filled to capacity and instead it is now divided into smaller sections and used as a practice space for the Czech national soccer team. The next site we saw was the Strahov Monastery that was established in 1143 and is quite famous for an unexpected reason. The monks brew a very special beer that is available for sale at the Monastery (and only there.) Dating back to at least the 13th century, this beer has been produced at Strahov Monastery for over seven hundred years. As you may know, beer is a pretty significant part of Czech culture. We were all a little surprised though to see on the menus here that beer is cheaper than water! Again riding downhill, we made our way past a number of countries’ embassies and just past the French embassy we stopped at the John Lennon Wall. Once a normal wall, since the 1980s it has been filled with John Lennon-inspired graffiti and pieces of lyrics from Beatles’ songs. In 1988, the wall was a source of irritation for the communist regime as young Czechs would write their grievances on the wall. Despite several attempts to paint over the wall and stop the graffiti, the wall today is a symbol of ideas such as love and peace. As Shabbat neared we properly checked into our hotel and quickly prepared for shul. 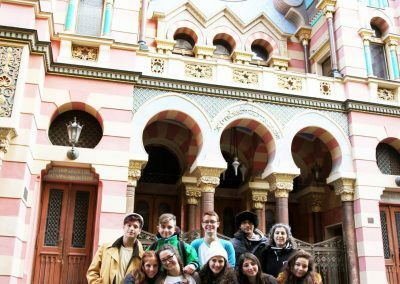 For services, we went to the Old-New Synagogue, the oldest functioning synagogue in Europe. The tefilla was really beautiful. As an orthodox synagogue, there is a separate section for the women but after the services ended, the woman also had the chance to explore the main chapel area to see it up close. We then had an hour before dinner began at Chabad, so we walked over to the nearby Old Town Square and explored a bit. Unfortunately, the famous astronomical clock on the Town Hall is undergoing renovation so we didn’t see it do its thing, but we were able to see it close up since it has been moved to street level while its tower is renovated. Then, while some of us looked for an escape from the cold, Sofia explored every nook and cranny of this incredible square. Finally, we made our way back to the Jewish Quarter and over to Chabad. We all owe Manny a big round of applause for his exceptional navigating skills and getting us to dinner on time! Joined by almost a hundred tourists from at least four continents, we had a pleasant shabbat dinner, complete with singing and a special birthday cake for the rabbi. 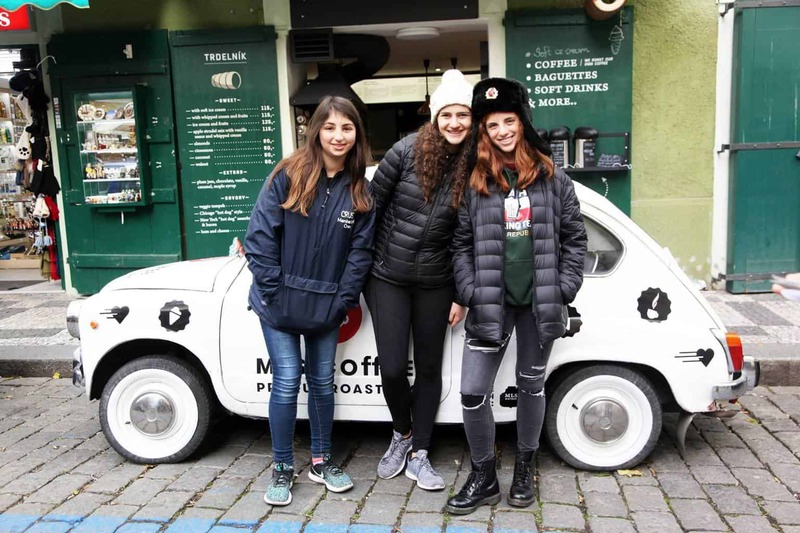 Our second day in Prague was even more jam packed than the first. We began with a nice stroll (with no rain!) over to the Charles Bridge. Midway down the bridge, we stopped to discuss a particular statue that features a crucifix adorned by a statement in Hebrew cast in gold. 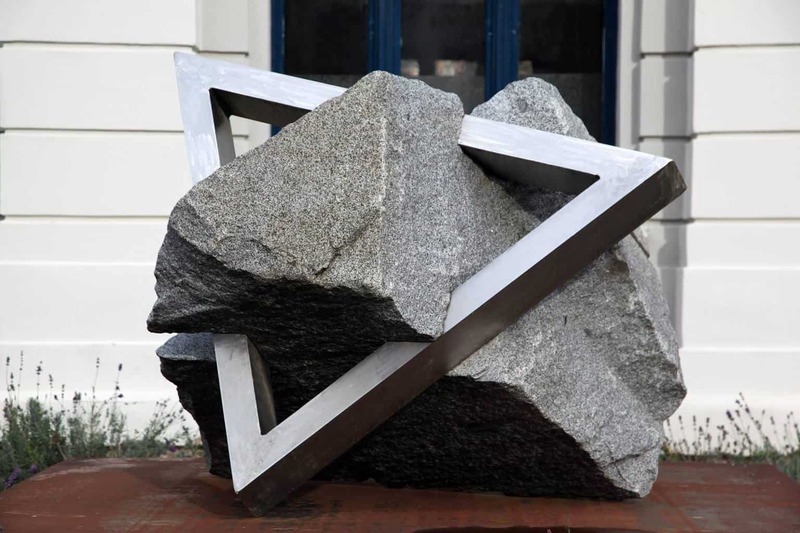 The words, “Kadosh Kadosh Kadosh, Adonai Tzevaot” (a statement we say three times a day during our tefillot) were added to the statue in 1694 when a local Jewish resident of the city, Elias Backhoffen, refused to remove his hat while walking past the cross. He was fined and the money was used to add the statement to the cross. 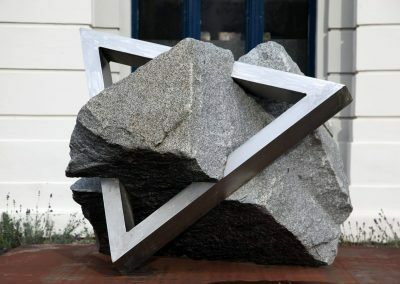 In 1971, a Jewish tourist visiting Prague saw the statue and fought to have the offensive display removed. Citing National Heritage laws, the government refused to alter the statue and instead added a plaque next to it explaining the story behind it. We had a very enlightening discussion over what statement the Czech government is making by preserving the statue as is. In the afternoon, we went on a really informative and amusing walking tour with a local guide named David, from Colorado (he and Sarah bonded over their hometown!) David followed love to the Czech Republic but after losing the girl, he found that he had fallen in love with the city so he stayed. He shared with us many stories and legends about the city as we wound through the streets of the Old Town. One interesting story he even asked us to help him act out, with Sophie playing the part of a thief who eventually has her hand chopped off, Efi playing the part of the executioner (maybe enjoying his role a little too much) and Manny playing the part of the Catholic Church (and cracking jokes which had me in stitches.) Sophie’s hand (or someone’s) is hanging in a local church as a symbol to remind people to respect other’s property and to respect the church. David also taught us about the Velvet Revolution and the role Charles University students played in bringing an end to communism in Czechoslovakia in 1989. 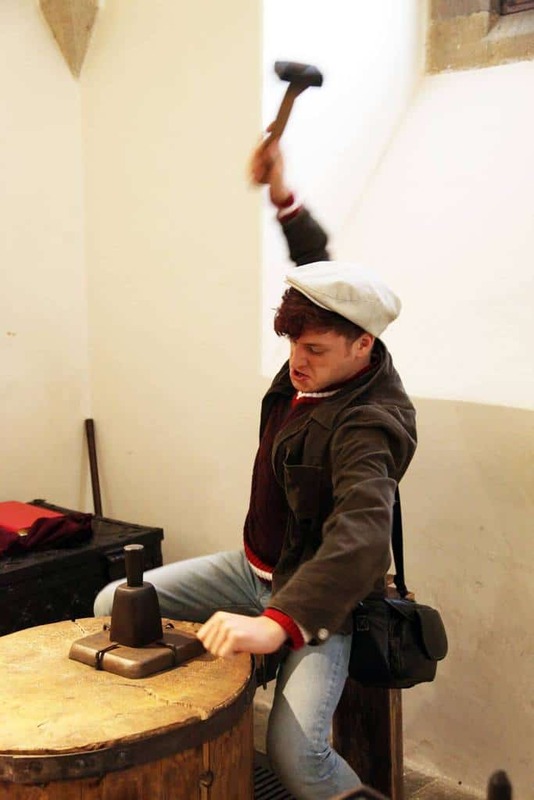 We also learned about the Powder Tower, the coronation ceremonies of the King, and much more. Perhaps most interesting to some of us were the sites in the Jewish Quarter which we saw today. On Tuesday we will do a more thorough exploration of the synagogues, cemetery and other sites in the old ghetto. 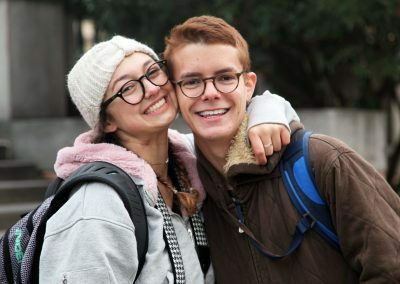 In all seriousness, your children are a pleasure to travel with and they are taking advantage of every moment of this incredible trip abroad. According to Fitbit and Apple, we have walked close to 30 miles over the last three days. There’s stiff competition around here to see who has the most steps each day (Maya seems to have won today…) Fortunately, with all the walking we’ve done, the weather has mostly cooperated. It wasn’t until the evening that a light rain began to fall but it didn’t stop us from exploring the city. Tomorrow may be another story as they’re calling for possible snow overnight. Sarah is quite excited about that! Our day began this morning with an hour drive out to Terezin, a garrison town built in the late 1700’s and later converted into a concentration camp and Jewish ghetto during the Holocaust. Although the camp was used as a transit camp and not as an extermination camp, tens of thousands of people died there. Some were killed outright and others died from malnutrition and disease due to the cramped living quarters, lack of hygiene and medication, scarcity of food, improper heating and other horrendous conditions. 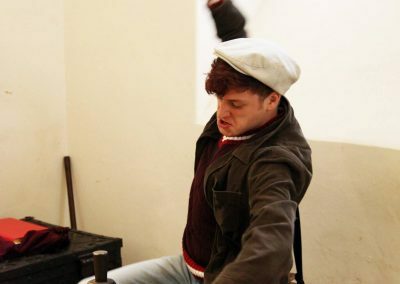 Terezin is divided into two areas – the Small Fortress, which was a prison for political prisoners and for Jews who broke the rules of the camp, and the Main Fortress, which housed the ghetto. Walking through the Small Fortress with our guide, we passed through the gate above which was painted the infamous words, “Arbeit Macht Frei,” (work makes you free). Throughout the prison we saw up close the horrific conditions in which the prisoners were forced to live – rooms with cement floors on which the prisoners were forced to sleep even in the cold of winter, isolation rooms which prisoners were packed into without enough room to lay down to sleep, and other rooms with no windows where prisoners were kept in total darkness. 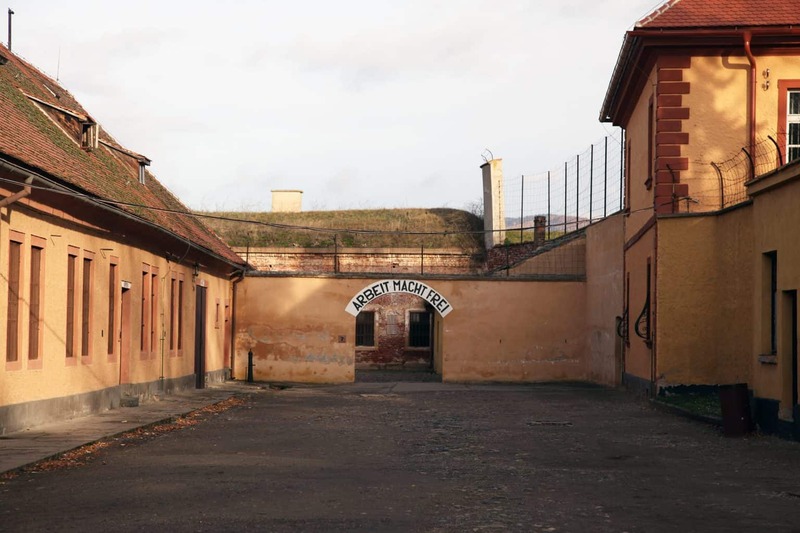 When Terezin was built, over 30 km of corridors (tunnels basically) were constructed to give soldiers a way to move protected through the fortress, with shooting positions to defend themselves, and with escape tunnels in case the fortress was attacked. Although these corridors were never used during the Holocaust for fear of a prisoner escaping, we walked through one which was 500 meters in length and it helped us understand more about the construction of the compound. We then reached the area where the guards conducted target practice and later performed executions of prisoners who the Gestapo decided should be killed. The last group of executions at this site were two months before the camp was liberated when 52 people were shot and killed. 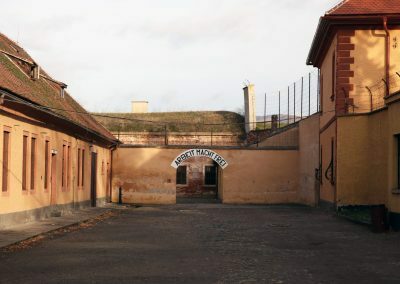 One of the unique aspects of Terezin was the effort made to use the camp as a model concentration camp in order to dupe the Red Cross into thinking that the Nazis were actually taking good care of the Jews. For example, we saw a “shaving room” which was constructed merely for show. In this room, the walls were lined with sinks and mirrors, but the entire room was never used. We also saw a propaganda video that was made by the Nazis in Terezin and used to demonstrate to the world that the Jews were being well treated. There were scenes of men playing soccer, with thousands of spectators cheering them on. There were scenes of women knitting. And there were scenes of the ghetto orchestra which was forced to play. Another unique aspect of Terezin was the artwork that was produced by children at the camp. In an effort to help the children cope with their trauma, and as a part of the propaganda, many children were given the chance to draw pictures of their experience, their homes which they had been forced to abandon and their dreams for a better future. Seeing the drawings throughout the Ghetto Museum, we truly felt the sting of the loss that we suffered as a Jewish people in this place. Music, plays, and poems were also composed and written in the ghetto. 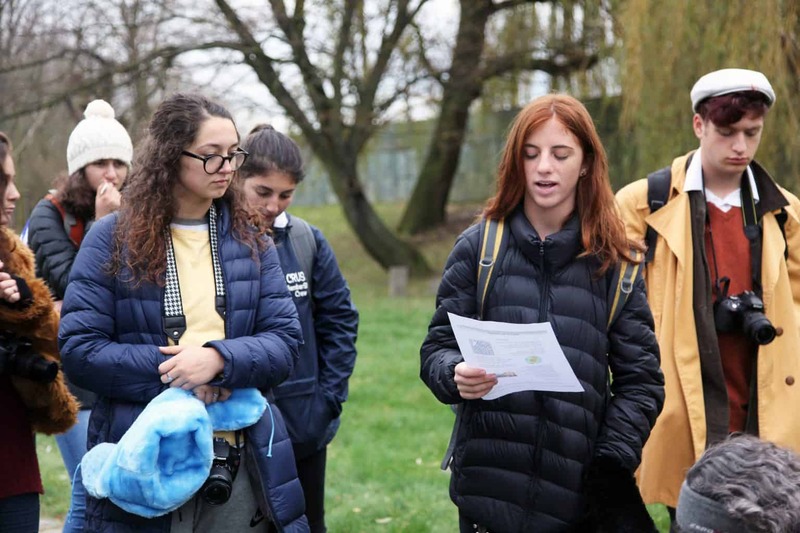 At each stop of our tour, we read a different poem that was found after the war, but written by a child held at this camp. Most of these children later died at Auschwitz. By reading these poems, we were helping the memory of each of these children live on even after they had perished. As we continued through the Ghetto, we saw the areas where the bodies were prepared for burial, the crematorium, and cemetery consisting of a mass grave. To put things in perspective, the ghetto in Terezin was originally built to house around 7500 people, but during the Holocaust over 60,000 people were in the camp at one time. The infrastructure did not exist to accommodate such a large group of people. Before leaving the cemetery, we read the mourners kaddish for those who have no one to stay it for them and we each placed a stone on one of the unmarked grave stones. Our last stop in Terezin was actually a synagogue which was established in a small room hidden from the Nazis. It was important for us to conclude our tour in a place that represented not the misery but rather the hope that many of the Jews somehow managed to hold onto. As we walked around all of Terezin, Sarah and Maya proudly tied Israeli flags onto their bags and it gave us a visual symbol of the ultimate triumph of the Jewish People. In the tiny synagogue, Efi put on his tefillin and said a prayer. Watching him gave me chills of pride. 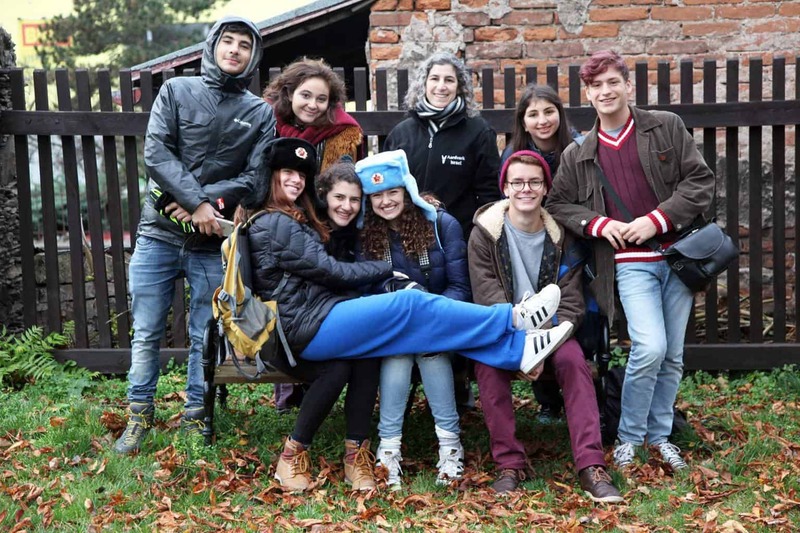 Being in Terezin today reminded me of all that we lost as a people, but also being there with our students reminded me of all that we have to hold on to as well. 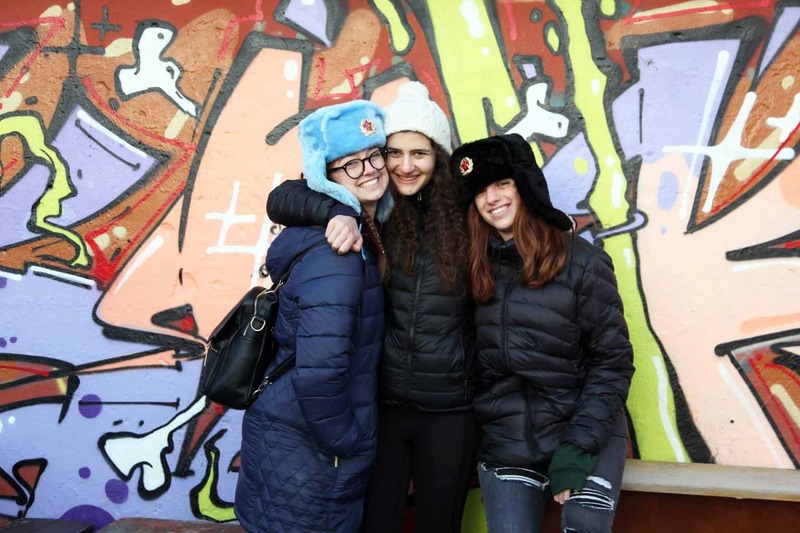 Although there are a few small places to eat in Terezin, we all felt awkward about eating in this place so we returned to Prague and had a late lunch and some downtime to regroup after the intense experience. As the sunset, we walked over to the river and took a nice, gentle boat ride that allowed us see the beauty of the city at night. Finally, we headed over to the Image Theatre for our evening’s entertainment. But since we’d eaten late no one was interested in dinner before the show, so instead we busied ourselves with shopping. 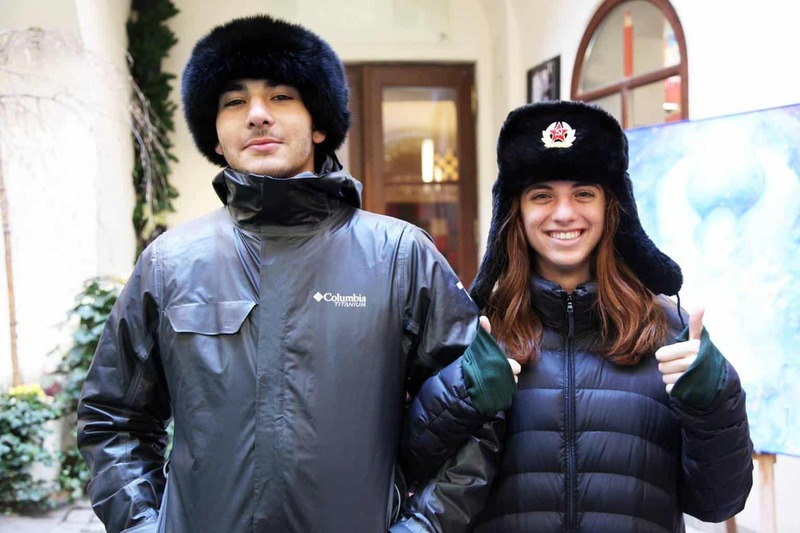 The first store we discovered was a second-hand clothing store and as you can guess, we had a ball trying on clothes. When Sarah mentioned that her school hadn’t had a prom, we found here a dress, and Rob donned a suit jacket. With the addition of some music played on our phones, we gave Sarah a small taste of prom! Several students also found some great deals on new clothes. Next door to the thrift shop was a fancy chocolate store and we took the opportunity to grab a snack to help keep us full until dinner. The chocolate was exceptional and it certainly helped us wait for a yummy dinner after our show. In attaching photos yesterday, I somehow loaded several onto Google Drive and others were attached to the email. They were pretty large files so we are trying to shrink them down to send them to you. Please bear with us and tomorrow morning we’ll send the photos from today. Another incredible day is coming to a close after we added around ten miles worth of steps to the count today. 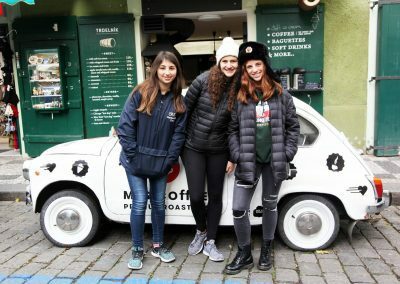 We started the day by meeting our very chatty, and very sweet tour guide, Blanka, and traveling about an hour east of Prague to the town of Kutna Hora. This town was founded in the mid-12th century and became important due to the wealth of silver that was mined there. There was once a Jewish community in Kutna Hora as well. 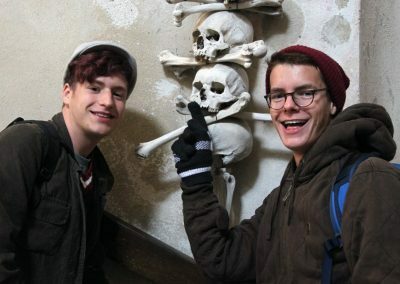 Our first stop in Kutna Hora was the Sedlec Ossuary, a chapel adorned with human skeletons. 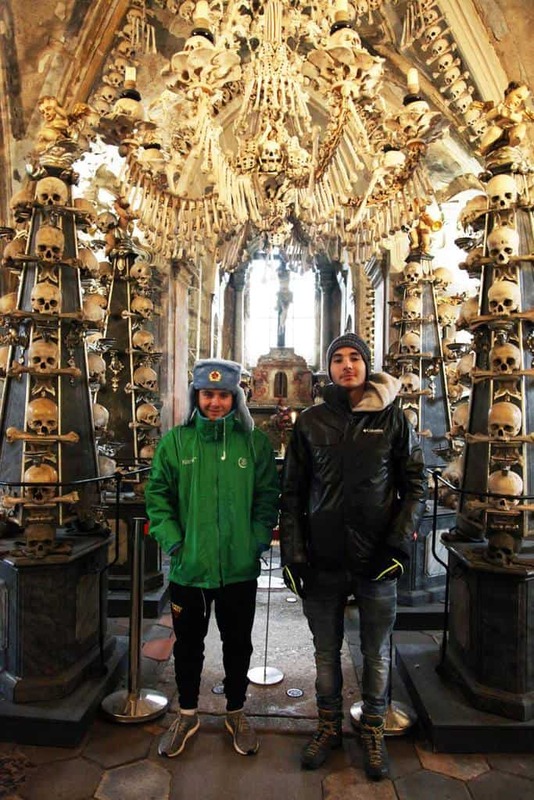 The bones of over 60,000 people were used to decorate the chapel. 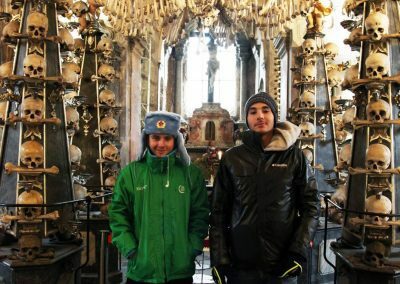 In each corner, there is a massive pyramid of bones and in the center and along the walls are displays of bones arranged artistically to create a crest of arms, hanging chandeliers, and patterned displays. 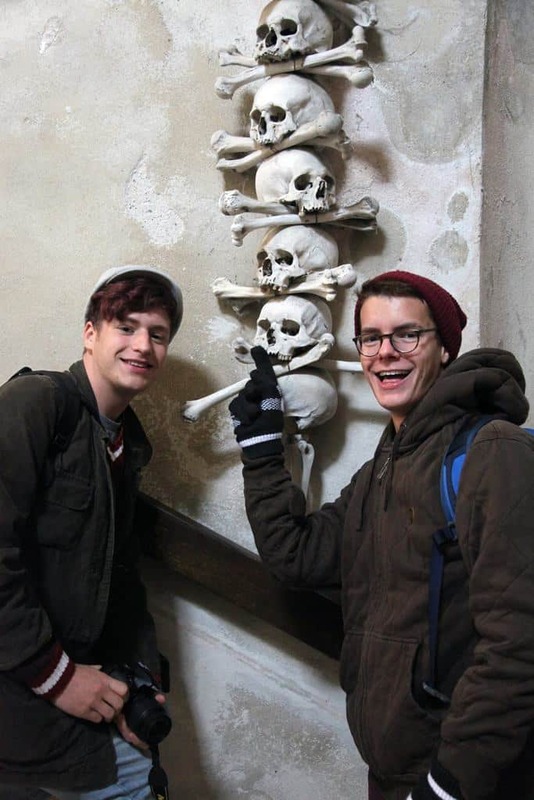 We spent a few minutes admiring the artistry, and then trying to figure out which bones were which (we saw vertebrae, hips, pelvic bones, skulls, jaws, and of course many many arms and legs, plus many other bones we couldn’t identify!) According to the church’s tradition, many hundreds of years ago, a man brought back dirt from the land of Israel and spread it around in the courtyard of the church. Believing that the area was now holy, everyone wanted to be buried there. In the 1500’s the bones were exhumed and piled up and then in 1870, a local man arranged all the bones into the displays we saw today. The sight is really unique and everyone had a lot to say about the displays. In the afternoon we made our way to Kolin. It was one of the oldest and most important Jewish communities in the Czech lands. 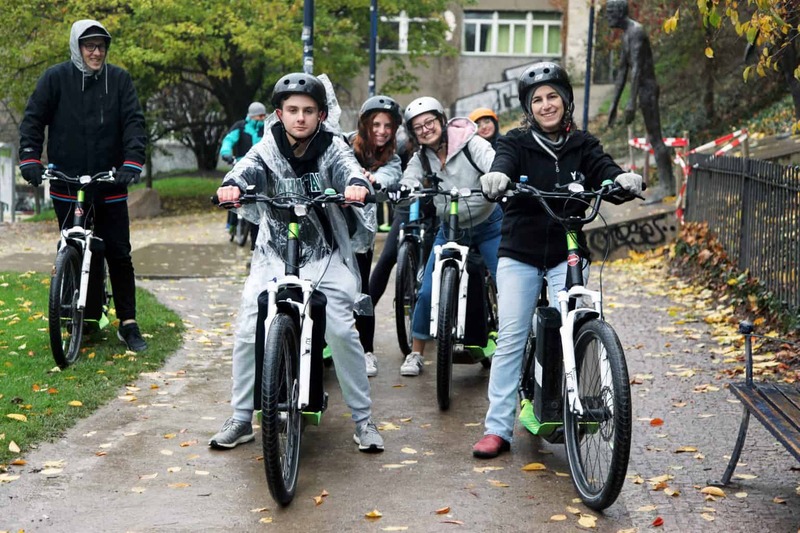 The first mention of the Jewish settlement in Kolín dates back to the middle of the 14th century and the first mention of a Jewish street in Kolín comes from the 1370s, which means that there must have already been an extensive Jewish community in the town by that time. Of course, Kolín also has a very old Jewish graveyard. 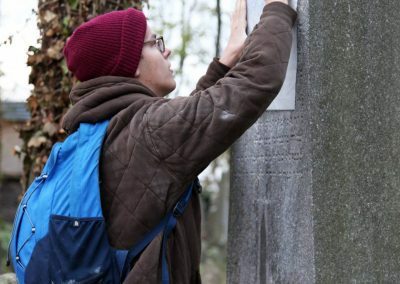 The oldest graves date back to the end of the fifteenth century, which makes it one of the oldest Jewish cemeteries in Bohemia along with the one in Prague. Kolin was one of the oldest and most important Jewish communities in the Czech lands, second only to Prague. The community dates back to the middle of the 14th century and in the old cemetery, there are graves that have been identified as dating back to as early as the 15th century. In 1942, the Jews of Kolin were deported to Terezin and then most were sent on to extermination camps including Auschwitz. Approximately 100 Jews from Kolin survived the Holocaust but even those who returned to Kolin in the late 1940’s have all since died or moved away so there is no longer any Jewish community in Kolin. The synagogue in Kolin, built in the late 1600’s, still stands. Its furniture and ritual objects, including all of the community’s Torah scrolls, were stored in a warehouse by the Nazis with the intention of establishing a museum of the “extinct race” after the war. 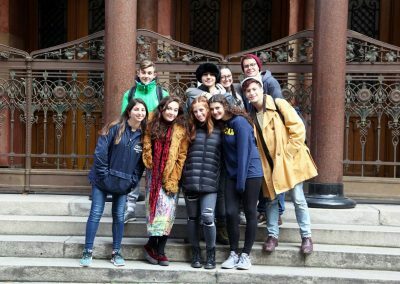 While visiting the synagogue, Sarah shared with us the story of the Kolin Torahs – when the warehouse was discovered after the Holocaust, a synagogue in London arranged to have the Torahs repaired as much as was possible and then distributed to Jewish communities around the world. Sarah’s congregation, Temple Emanuel in Denver, CO, received one of these Torahs along with two chairs from the bima of the synagogue. Each Shabbat, when there is a bar or bat mitzvah at her Temple, the Kolin Torah is taken out of the Aron Hakodesh and passed from generation to generation – from grandparents to parents to the bar/bat mitzvah child. Also, each week, ten names of Kolin Holocaust victims are added to Sarah’s Temple’s yartzheit list as well. After sharing this information with us, Sarah read the names of the ten Kolin victims who would be remembered in Denver this week and we all joined together to say the mourners kadish for them. 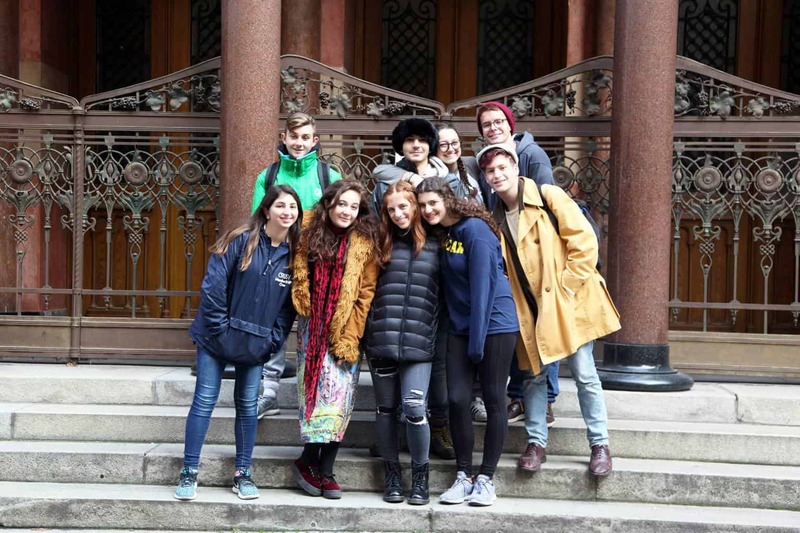 Seeing Sarah stand on the bima of the Kolin synagogue and listening to her share her personal connection to the community that once worshiped in the place where we were sitting, was truly a special experience for all of us. We also visited the Jewish cemetery in Kolin. We were all saddened to see how overgrown it has become with weeds and ivy. Many stones were broken or overturned and probably about 90% of the stones were so worn by the weather that we couldn’t make out the inscriptions on them. 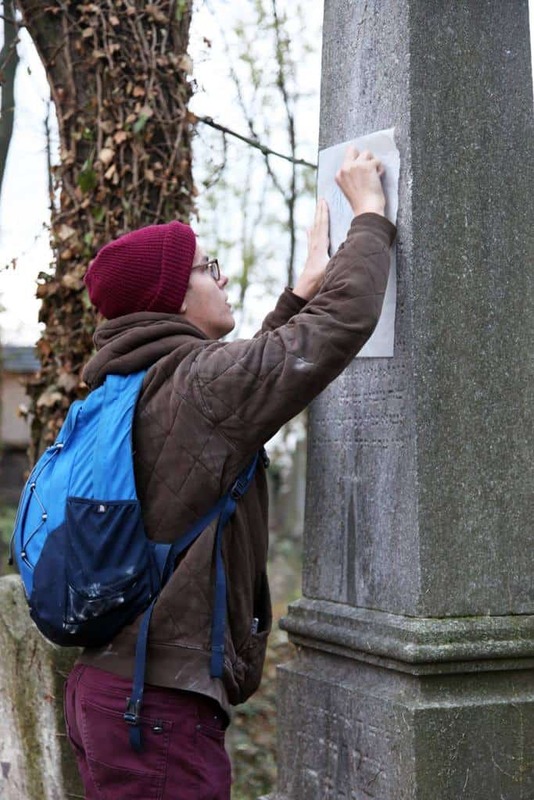 I had distributed a crayon and tracing paper to each student and asked them to do a rubbing of one tombstone with a name or symbol on it which they connected with in some way. Sadly, we had a hard time finding graves which were legible and we talked about the importance of future generations preserving the memory of those who came before us. 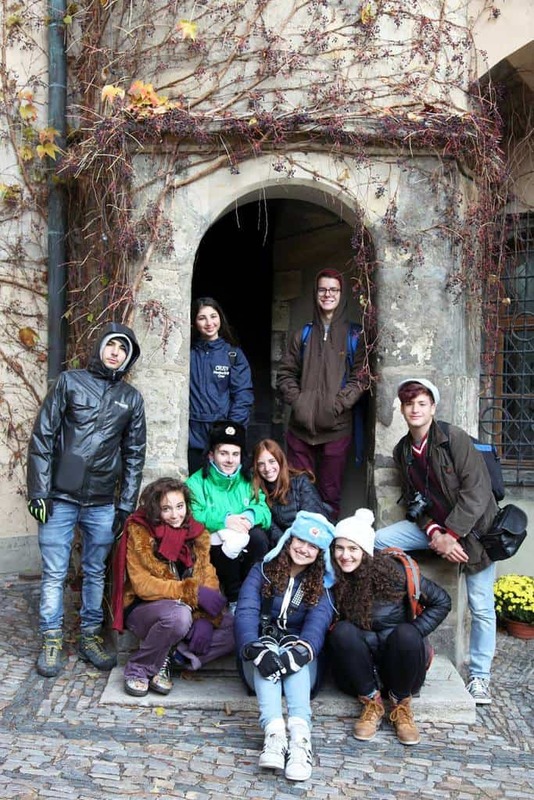 We also talked about some of the symbols that we were able to find on the stones or one may find in a Jewish cemetery, such as the sign of the kohanim, a pitcher for a levi, a broken tree to symbolize a child, or a lion, grapes, and Jewish stars. 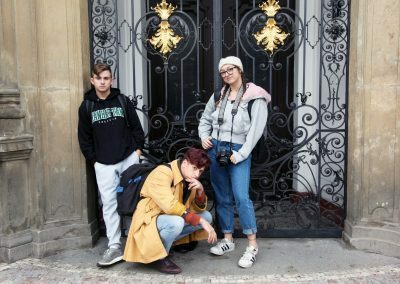 After returning to Prague, we had free time to do some shopping in Wenceslas Square, one of the city’s main squares and the center of the New Town area of Prague. 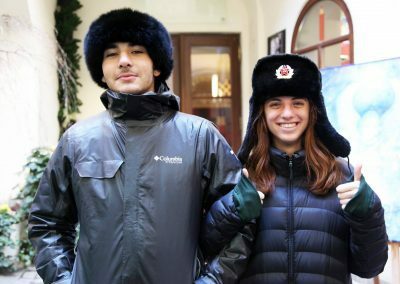 Everyone managed to buy great souvenirs, including Sophie and Maya who bought warm communist hats and Rob (who least enjoyed the cold weather) got a fuzzy, rabbit fur hat. However, the most purchased item by our group was Trdelnik, a delicious dessert that is basically a dough that is wrapped around a stick, then grilled and topped with cinnamon and sugar. It can also be filled with ice cream or chocolate spread. 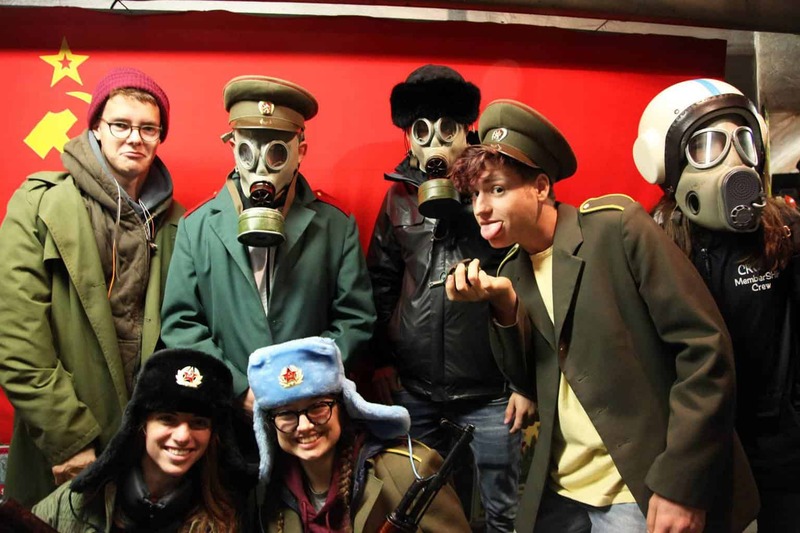 In the evening, we played laser tag – a sport that young Czechs love! After walking up five flights of stairs to the arena (and the fitbit ladies celebrated), we played two games. In the first, it was every man for himself and while they put up a good fight, I crushed them all. In the second game we split up into teams and the red team came out victorious. If I ever play again, I want Tamar on my team – she was incredible! It’s incredible how much we were able to pack into five days! We were up and out each day around 8:30 am and our days didn’t end until after 10:00 pm each night. And we walked and walked and walked and walked. 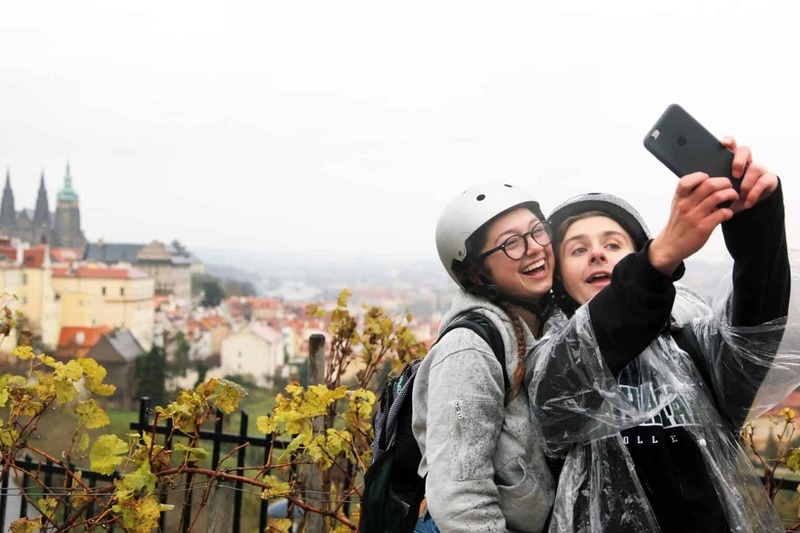 Prague is a very easy city to get around and despite the cold and sometimes rain drizzling down, we crisscrossed the city on foot and everyone was cheerful and participated in the whole week. 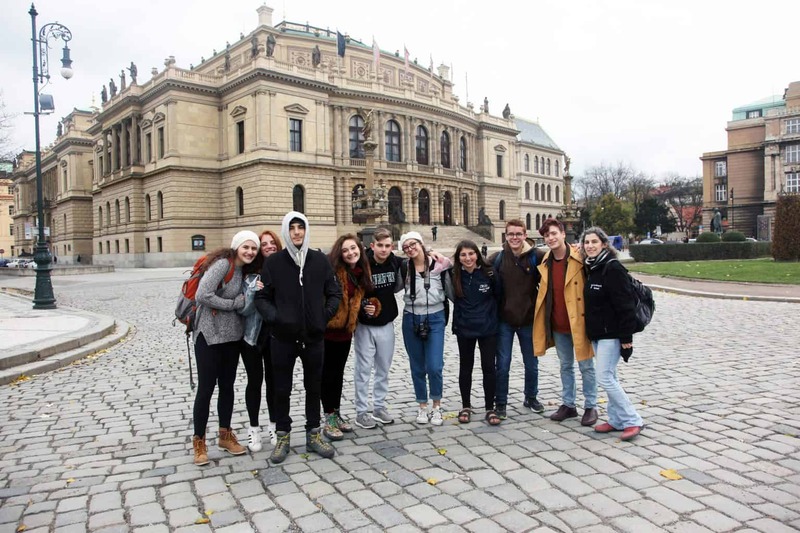 On our last day in the Czech Republic we started out by exploring the Jewish Museum of Prague which is spread throughout several synagogues and other important locations in the Jewish Quarter. 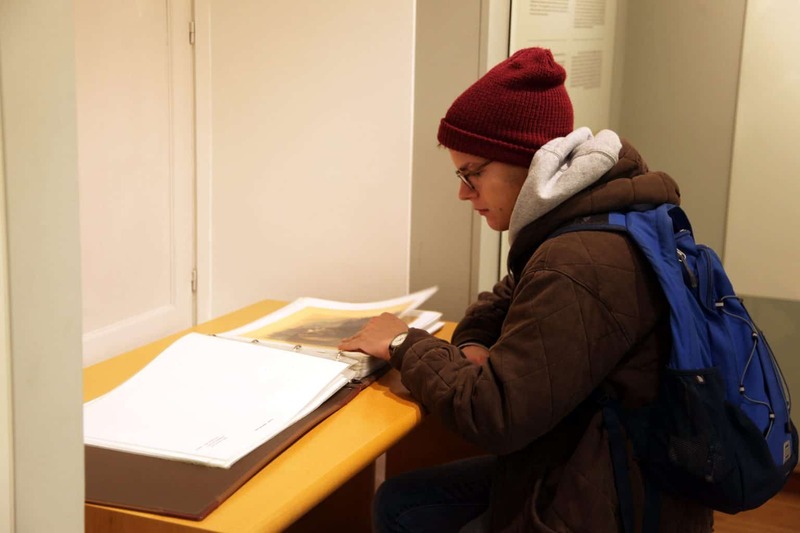 In the Maisel Synagogue, in addition to marvelling at the beauty of the building and its aron kodesh, we looked at displays about the history of the Jewish of Bohemia and Moravia. The Pinkas Synagogue was built in 1535 and now serves as a memorial to the thousands of Czech Jews who perished in the Holocaust. The names of the nearly 80,000 Jewish victims from Bohemia and Moravia are inscribed on the walls. It is a powerful site to see. Each name, along with their date of birth and date of death is recorded. Also in the Pinkas Synagogue is a display of artwork of the children of Terezin. Seeing this work in the synagogue after having been at Terezin two days before was emotional for many of us. Next we visited the Jewish cemetery which is among the oldest surviving Jewish burial grounds in the world. It was founded in the first half of the 15th century and used for nearly 400 years. Although the cemetery was expanded several times over the centuries, it was still not big enough to meet the needs of the Jewish community and since space was scarce, bodies were buried on top of each other, with graves layered up to 10 deep. There are about 12,000 tombstones in the cemetery including the grave of Rabbi Judah Loew Ben Bezalel, known as the Maharal. Next to the cemetery is the Ceremonial Hall (mortuary) which includes displays of various ritual objected connected with death and burial such as tzedekah boxes, combs and nail files used for cleaning and preparing the body for burial, and memorial prayers. Upstairs, in the area that was used as a sort of club house for the Chevra Kadisha (Burial Society), I was particularly struck by the display of dishes and silverware which was used for the group’s annual banquet. Dealing with death and loss every day, the banquet was an opportunity for the society members to be joyous and celebrate their brotherhood. Finally, visiting the Klausen Synagogue, we saw displays about Jewish holidays and life cycle events. The synagogue is also a beautiful early baroque style building from the late 1600’s with a gorgeous aron hakodesh. Next we headed out of the Jewish Quarter to see one more synagogue – the Jubilee Synagogue, also known as the Jerusalem Synagogue. 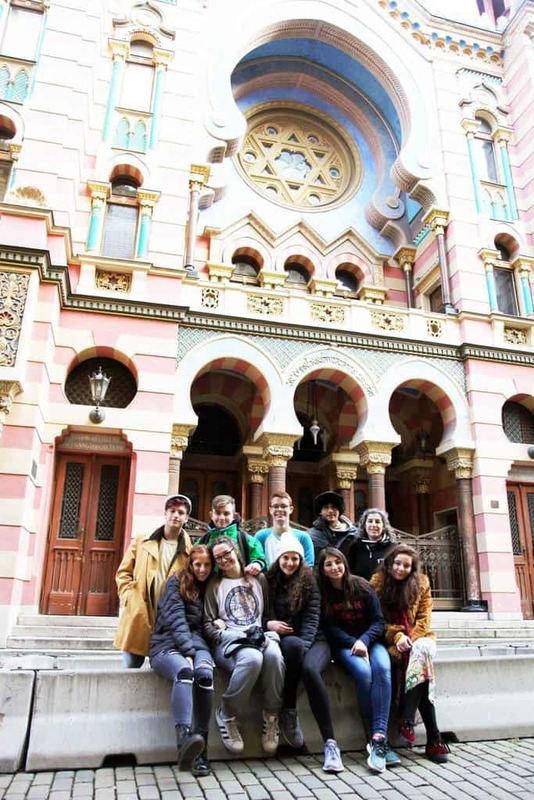 Built in 1906, the synagogue is designed in Moorish Revival form with Art Nouveau decoration. You’ll see from the attached photo, the shul is absolutely gorgeous! Although the building isn’t open to the public in the winter, we enjoyed seeing the facade and staging a photo shoot for a future Aardvark brochure! Back in the Jewish Quarter, we headed over to the King Solomon restaurant to meet Ambassador Daniel Meron for lunch. The ambassador is currently in his ninth month of service for the State of Israel in the Czech Republic. Over a delicious lunch, he shared with us insight into the relationship between Israel and the Czech Republic and answered many questions for us. We learned that the Czech Republic is the strongest supporter of Israel in all of Europe. 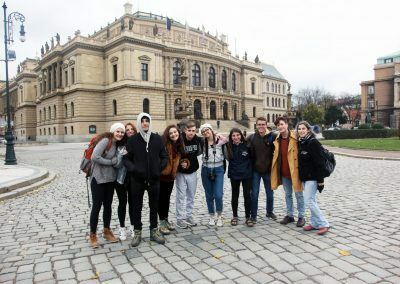 The Czech Republic recently had an election, so Ambassador Meron’s current main objective is to ensure the strong and positive relationship between the two countries is maintained with the new elected officials, and to build stronger connections for Israel throughout the country. 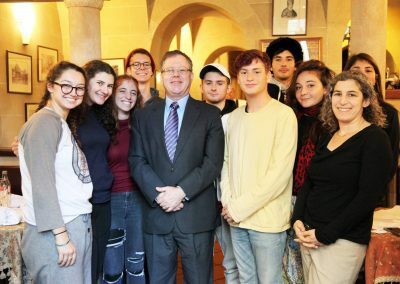 He talked about a number of projects in which the Czech Republic and Israel cooperate, such as in the field of high tech and recently the Czech government asked for Israel’s partnership in addressing local water conservation issues. We were all pleased to hear that there is virtually no antisemitism in the Czech Republic and the BDS movement practically does not exist there as well. Ambassador Meron also talked about what it has been like for him personally to work in the foreign service for Israel and how proud he is of his children for choosing to return to Israel as young adults to serve in the Israeli army and build their lives in Israel despite having pretty much grown up abroad (he has served in the Israeli Embassies in the United States, Norway and Cyprus.) 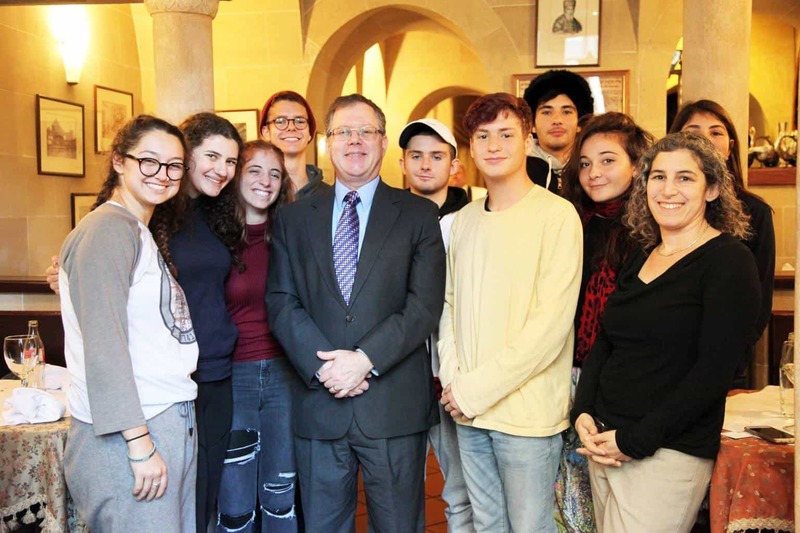 Everyone enjoyed meeting Ambassador Meron and he enjoyed hearing from our students about their experiences and volunteering in Israel thus far. 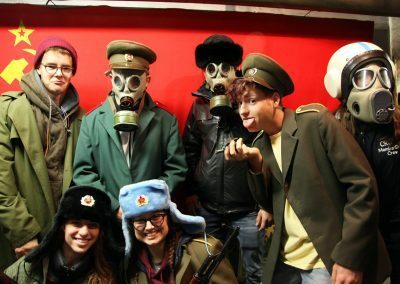 Our next activity was a tour of a Communism and Nuclear Bunker. 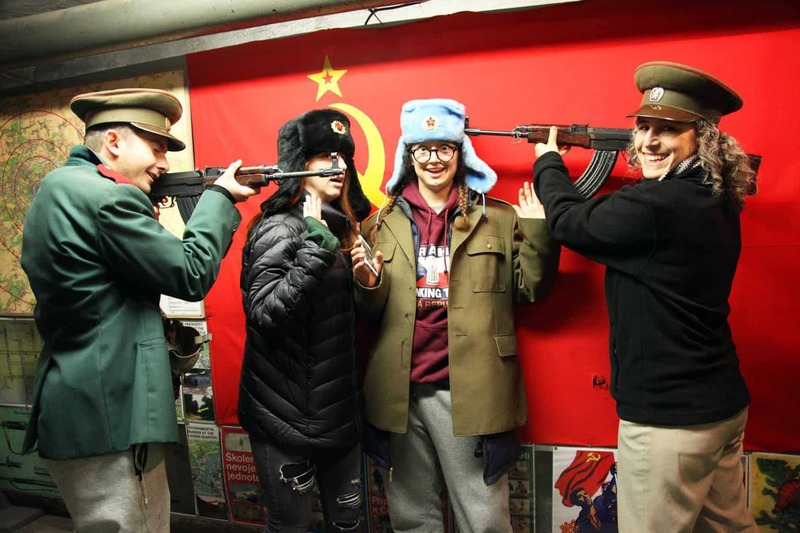 From 1948 to 1989, Czechoslovakia was under Communist rule and this tour took us around a variety of sites that gave us a glimpse into this important period of the country’s history. 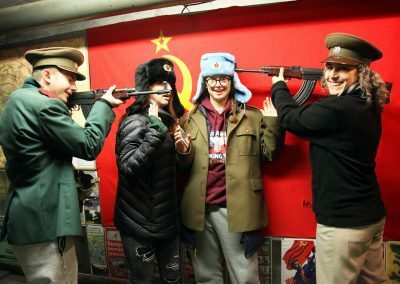 One notable stop on the tour was the site of a major demonstration during the Velvet Revolution in 1989 that ultimately lead to the end of communism in the country. Our guide was very informative and even shared with us stories from his childhood in Prague during that time. 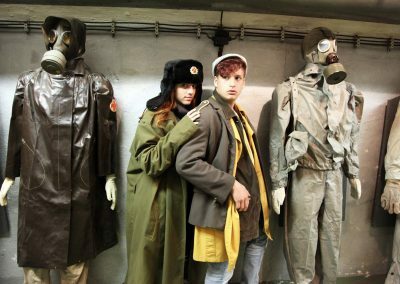 The best part of the tour was the visit to the nuclear bunker. 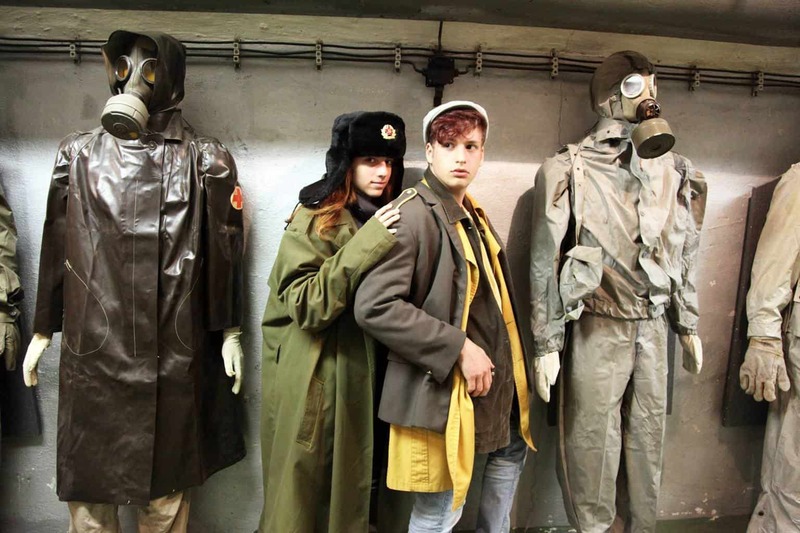 In addition to exploring the bunker, there is a museum set up inside with paraphernalia from the communist era and we even had the chance to don communist army jacket, arm ourselves with weapons, and put on gas masks… You can see in the photos, it was a lot of fun! Like all tourists, part of the fun is shopping when you’re in a new place so we wrapped up our time in Prague at the Palladium Shopping Mall and then headed back to collect our luggage at the hotel and head off to the airport. As you saw from my email earlier today, we landed safely and everyone had the morning to recuperate from our middle of the night flight. Both Charlie and I had a terrific time with the group this past week. It was wonderful getting to know them in a different context and to spend so much time with each other. 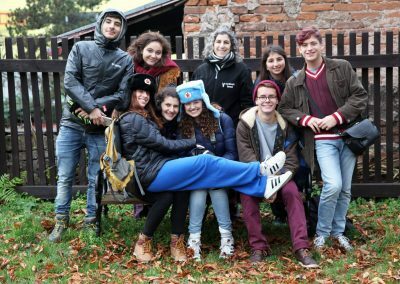 International travel can be so rewarding as it exposes us to different cultures and people, and this trip certainly did that for all of us. Thank you for giving your children the gift of exploration and for trusting me and our staff with their experiences this year. Tomorrow we will send you all a file which you can download with the complete set of photos from the trip. In the meantime, attached is a taste from day five.